Unstable free radical molecules, like those from pollution and sun radiation, can prey on the electrons in your skin cells, leading to inflammation, uneven skin tone and signs of premature skin aging.Antioxidants help prevent such damage by giving free radicals what they want before they attack your cells. 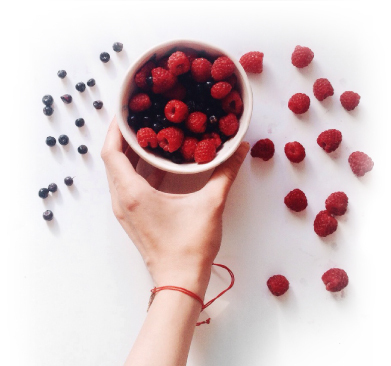 Best of all, you can reinforce your skin health inside and out when you apply antioxidant-rich skin care and eat antioxidant-rich foods! Helps fight heart disease, boost immunity, stop cell damage that can lead to skin cancer and prevent ultraviolet (UV) damage. Used together in skin care, these powerhouses work to improve skin smoothness, strengthen elasticity and defend against free radicals. Helps the body more efficiently use Vitamin E and facilitates collagen synthesis. Also brightens skin and lightens dark spots. Rich in polyphenols, this skin care ingredient helps inhibit the activity of Matrix Metalloproteinases(MMPs), which break down collagen, elastin and Hyaluronic Acid in skin. This trace mineral acts as an antioxidant and speeds up your internal antioxidant-making process. Helps increase collagen production and cell turnover, promote skin elasticity and reduce visible signs of premature photo aging. Eating these pigments may help protect eyes and skin from environmental toxins, as well as increase skin vibrancy. Rich in carotenoids and easily-assimilated antioxidants, this nourishing oil helps firm and rejuvenate skin while improving elasticity. Memorial Day is a time for us to remember those who serve and fight for our country. It is also a popular weekend for spending time outdoors with family and friends. Here a few tips and tricks I would like to share with you. Go lean. Not only does grass-fed beef contain a higher ratio of omega-3 to omega-6 fatty acids (to reduce inflammation), but it also packs nearly 30 grams of protein per 3.5-ounce serving. Did you know tomatoes contain antioxidant lycopene (levels of which are higher in cooked, processed tomatoes) and improves skin’s natural SPF? Don’t forget, make sure you keep hydrated with water! Fun in the sun means sun screen! I recommend is Solar Defense Booster by Dermalogica. It is good for all skin conditions and customizable so you can add it to your favorite moisturizer or makeup to boost your daily SPF. If this fun 3 day weekend (for the lucky ones) becomes too much fun for you, keep in mind we have our “Tough Dad” Special; 30 minute Deep Tissue Massage plus 10 minute scalp and 10 minute foot massage for only $79. A perfect way to relax and recharge for more fun this weekend. I’m Megan, and I’m your go to girl to save the day. My life would have been so much easier if I had my personal guardian angel to help me when it came to the big four letter word P-R-O-M.
Every Junior & Seniors favorite time of their high school lives. Let’s be honest, 80% of the time we’re either thinking or talking to our besties about what the perfect night is going to be like. Let’s get down to it ladies, grab your note pad, something to drink and gather your closest girls. We’re about to start! Find your own style: I encourage you to be yourself at ALL TIMES! Now that you’ve somewhat found your style, let’s talk about budget. Yes, the “B” word. A lot of us are on budgets and that’s okay. In fact, we tend to find the best stuff at a cheaper cost. Please don’t get discourage if you like something and it’s not in your price range. Your trusty guardian angel is here. We all have different body types, I recommend you hit the streets and try on multiple styles of dresses. When trying on dresses I encourage you to try on without a bra. Reason being is that you’ll see that actual fit of the dress better. Ladies with larger breasts always worry about coverage and support. I assure you, the dress that you choose will offer you both. If you come to a decision that you will prefer to have something similar to a bra but do not want the bra wire or the straps in the back, silicone bras will be your best friend. Choosing the right shade of color goes a long way. For my prom, my dress was rain-bowed out with purple and blue crystals. I know what you’re thinking, but no! I didn’t look crazy, lol. There are so many choices you have but whatever you decide, make sure you LOVE IT! Whew! So you’ve got your perfect dress and we’ve covered the support of your girls if needed. On to my personal favorite …. Make up: LASHES! LASHES! LASHES! I cannot express how much lashes can change your face and makeup. It gives definition to the eyes for that bold statement. Also, matching your concealer and foundation is key ladies. Of course we know your pictures have to be flawless. 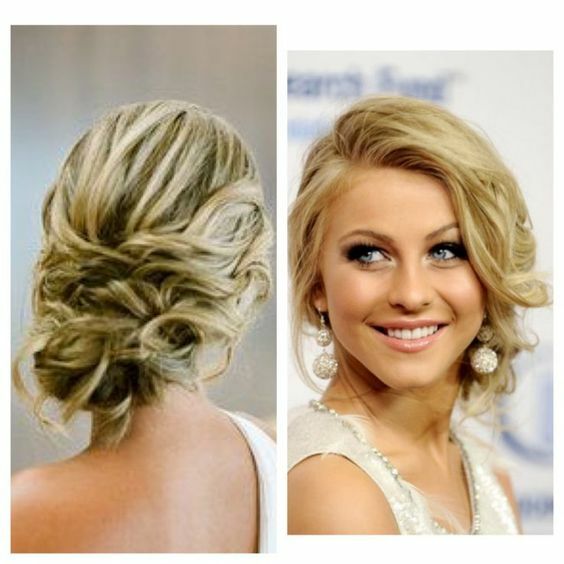 Hair: Up-do’s, Flowy long hair and side Do’s all depend on the look of your dress. Open back dresses, definitely you can swing either way. To execute a beautiful strapless, Up-do’s & Side-Do’s are my favorite. Nails: My new favorite go to for my nails is CND Shellac. Who doesn’t love a 14 day polish that doesn’t chip or come off when you’re in water. 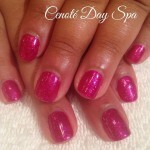 So whether you’re at the beach or getting ready for prom night, I highly recommend a CND Shellac Manicure. Prom is the time to try something new, so go for it! So, we’ve covered all bases. Don’t forget to add funky or elegant shoes and simple accessories to tie your prom 2016 look together. We’re just about done. Just a few prom essentials and you’re ready to have your magical night with of course Mr. Dreamy. A start of a new year is like a start of a new you. For some people it’s a certain new years resolution. For others its just a personal goal they have set. Whatever it is… making sure you are feeling and doing your best is what matters. Whatever your goal, desire, resolution is, I hope these few little tips help. 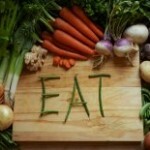 Trying to lose those “Holiday pounds”? Did you know that a body wrap is a good, natural way to start off any weight loss or detox? A natural mud wrap helps detoxify the body, helps reduces cellulite and even leaves your skin exfoliated. Big event coming up or are you ready for instant results? M’lis Contour Wrap is the way to go! Using a natural radical free cream, the connective tissue is able to move toxins. The soothing wrap helps stimulate circulation to the hard to lose cellulite pro areas. This stimulation can lead to a 4-14 in weight loss. Both the Mud Wrap and M’lis wrap combined with diet and exercise is a great way to start making you feel better from the inside out. Is your goal to make more time for yourself? Go for the goal of Glowing! Big event? Turning a milestone birthday? Maybe the holiday/winter weather has taken a toll on your skin. Whatever the case is get that glow back! For that pre-mature/dehydrated skin, try a soap free cleanser such as Essential Cleansing Solution, spritz some hydration with Multi-Active Toner, Brighten that skin with Multivitamin Thermafoliant. Moisturizing is one of the final and moist important step for smooth, hydrated skin along with diminish the appearance of fine line and wrinkles. Give Skin Smoothing Cream a try. Make up lover?? Or maybe just going out for Valentines Date Night? Skin Perfect Primer will most likely become your best friend! Now what are you waiting for? Make 2016 the best year ever!!! Every accomplishment starts with the decision to try! Happy New Year!!!! You’ll be getting your money’s worth with a Swedish massage—not only will you leave relaxed, science has found the treatment also has real health benefits. By increasing blood flow, the relaxing techniques of Swedish massage can do wonders for your complexion. It helps plump slackened skin, increases lymphatic drainage to remove toxins and brightens the complexion. If you are new to massage or are not sure what to request, may we suggest beginning with Swedish. You’ll leave Cenoté relaxed and all stretched out, without the intense experience of a deep tissue massage, which is probably too intense for first timers. While the aim of Swedish massage is to relax the body through long, gliding strokes in the direction of blood returning to the heart, a client’s experience will depend on your technique. Slow and gentle or vigorous and stimulating, Swedish can vary depending on your style and what you wants to achieve from your session. You can make the most of the detoxifying effects of Swedish massage by following a few simple rules. Post massage, drink plenty of water and avoid caffeine, nicotine and alcohol for the next 24 hours. You’ll also be happy to hear that it’s a good idea to avoid strenuous exercise for the next day or so, to allow the body to heal from within. Nonetheless, most fruits and vegetables are rich in potassium and low in sodium, which means that they have particularly effective diuretic properties. They may also be rich in antioxidants, namely in the form of pigments, which can reduce damage to cells and slow the process of cell aging. 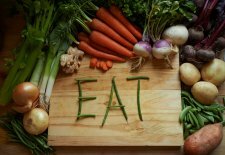 When planning menus with a focus on health and wellness, these five foods are among those to include without hesitation. High in fiber and low in calories, the fennel bulb is one of many vegetables that can provide a feeling of fullness, reducing the temptation to indulge in higher-calorie foods. The leaves and seeds of this vegetable, which are high in antioxidants, are often used in herbal teas that ease digestion. Artichokes offer a healthy dose of magnesium, a mineral that helps to manage sleep patterns, moods and stress. What’s more, their high fiber content contributes to a feeling of fullness and to maintaining healthy digestion. Artichokes are also particularly rich in potassium, meaning that they have diuretic properties. Oblong or round, these roots have thick black skin that is peeled to reveal a crunchy, spicy white flesh. Black radishes contain sulfur, which stimulates the gallbladder and the liver, resulting in improved intestinal function. However, those who have suffered from gallstones should avoid them at the risk of triggering hepatic colic. If you are like the vast majority of people that flock to the spa in the spring for a pedicure you believe it’s not important to get pedicures all year long. You probably think “No ones sees my feet for over half of the year so why bother?” Here are five reasons to make regular pedicures a part of your beauty and fitness routine. 1) Prevent and treat calluses and corns – Calluses and corns occur all year long. They are hardened, built up layers of flaky dry skin that can hurt and crack if they get too thick and cracking will increase the risk of infection. Calluses and corns are caused by dry cold winter weather, soapy water, being barefoot frequently, and wearing shoes without socks. Regular pedicures will keep corns and calluses at bay and keep feet smooth. 2) Promote healthy toes nails – Face it – it’s tough to cut your own toe nails without getting them lopsided! Improper trimming and filing can lead to ingrown toe nails which are painful and can lead to infection. Regular trimming and filing will prevent this and leave you with strong, healthy nails. This is especially important for runners and exercise enthusiasts. 3) Nurture healthier skin and joints– Pedicures always begin with a spa foot soak. This softens the skin and promotes circulation in your lower leg, ankle and foot while disinfecting your feet. The increased circulation will reduce pain and swelling in your feet from sitting, standing and walking all day. 4) Increase your self confidence – Think your feet aren’t attractive? Pedicures make you look good! Having regular pedicures will make your feet sweet to look at – whether you are sitting by the fire or sporting sandals at the beach. Besides – the spa is a great escape anytime of the year to relax and unwind! 5) Relieve stress – Foot massage has been practiced for hundreds of years. Massage feels good but also helps to ease tight muscles, reduce swelling, and aids in improved joint mobility. The increased blood flow brings oxygen to the tissue in the feet and legs. In addition, massage will not only help you relax but can also relive fatigue! So the next time you look at those feet that carry you about your busy day – why not schedule a break for you and for them? Schedule a pedicure today!